Sacred Chants and Songs to refresh the spirit. 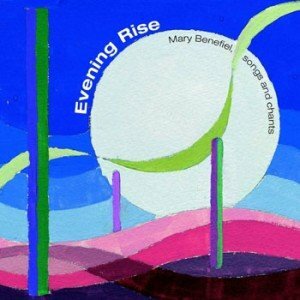 This CD offers some of the songs we do in workshops and chanting classes, capturing their essence with an array of musical arrangements. The chants and mantras are from different religious and cultural traditions. Each little jewel has a resonance that touches us on a very human level. The music, rich in acoustic sound, is achieved through the voice and a few instruments. 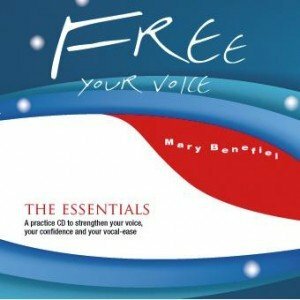 A practice CD that strengthens your voice, your confidence and your vocal-ease! Done in a meditative style, this CD includes the fundamentals of toning and the Indian scale. These exercises help you explore the textures of each note you sing in a dynamic, expansive way. The Indian Scale actively seeks to ground voice practice in the body and in one’s essential being — where else can anyone really begin? This subtle, practise reveals Self to Singer. It brings you back to the source of your true sound. 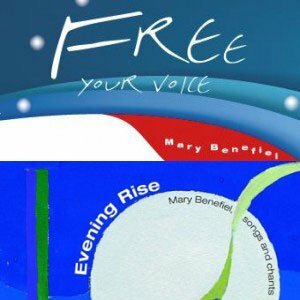 Not only will you be reminded of the practical parts of voice practice; you will also discover ways to gently set your voice free.